She recently rose to fame through a powerful video that sought to unite the peoples of the Middle East. Now, she has returned with a novel effort: to crowdfund her rise in the music industry. A couple of months back, Your Middle East published a music video by two Syrian-Swedish sisters that would quckly resonate with audiences across the globe. Their song “To Our Countries” was a rare effort in trying to unite Arabs from the MENA region and the diaspora through the power of music and poetry. That video has over 1.9 million YouTube views at this point. Now, one of the sisters is once again breaking new ground. 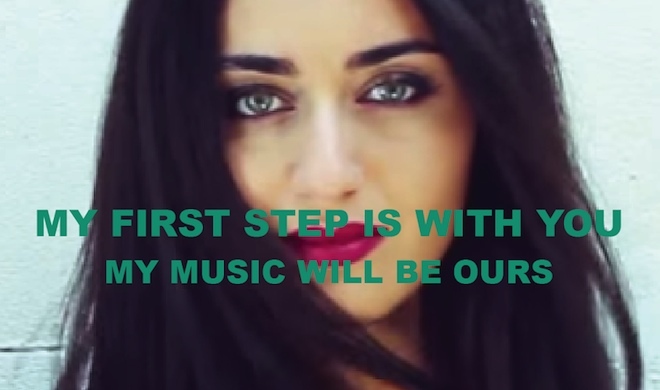 As the first Middle Eastern artist ever to crowdfund her debut, Faia Younan is set on establishing herself as an independent voice, with no strings attached to the major labels. “I want to sing my passion for my beliefs and values, for my people. I want to create songs that reflect the genuine truth and beauty of our societies,” she says. The campaign, launched on the Middle Eastern digital platform Zoomaal, is rapidly gaining traction; starting on 20 March, the crowdfunded campaign for Faia’s first single has already reached 55% percent of its objective. “We’re betting on the passion that Faia has received over the past few months to gather enough funds to create her first single, a music video and be able to promote them. I believe that with Faia’s beautiful soul nothing is impossible”, said Houssam Abdel Khalek, the singer’s manager.